In the Junior Prep, our approach to learning is varied and takes into consideration the different ways in which young children learn and develop. This includes the understanding that children possess individual learning styles, process information differently, develop at their own rate and require support from their teachers that is suited to their needs. In addition, we aim to create effective learning environments, where pupils can feel valued and in which they are encouraged to become aware of their own thinking processes, as well as strategies they can master for future academic success. We understand that learning and thinking is essentially an active process, in which children are continually building on their nascent ideas about the world around them, and developing ever more complex ideas, which they explore through their play and classroom learning. We are inspired by some of the practices of the Reggio Emilia schools in northern Italy and the philosophy that children should play some part in their own learning journey. We also take into account the results of recent research in the fields of education and neuroscientific studies into brain development and learning. Through the grades, we focus on ensuring the consolidation of underlying skills and strategies and make use of various tools to develop creative and critical thinking. Our mission is to develop boys that are confident, creative and can communicate effectively, and we use subject content as a vehicle to teach these vital life skills. In Grade 0 to 3, we focus on the three learning areas: numeracy, literacy and life skills. Pridwin follows an integrative approach to mathematics, combining various methods in order to deliver the most complete curriculum to the learners. Singapore Maths is a comprehensive, activity-based programme from Singapore, designed to provide pupils with a firm foundation in numeracy and to develop creative and critical thinking skills resulting in efficient problem solving. It comprises a series of pupil workbooks, textbooks, teacher manuals, homework books and test books tailored to each grade. Enrichment books and reteach books are provided for learners needing extension or consolidation. Though the curriculum is informed by the set textbooks, teachers in the Junior Prep facilitate active experiences drawing on concrete and kinaesthetic learning. The foundation of learning to read and write is one of the most critical in a child’s education. We use an integrated approach to ensure that our boys develop and build the necessary skills to be proficient readers. · RWI - The principles of READ WRITE INC. underpin the teaching of sound-symbol relationships and developing phonemic awareness in all boys. The programme embraces the principles of pace, passion, perseverance, purpose and praise to engage all boys in learning their sounds. Sounds are taught through the use of picture cards, which link to handwriting rhymes, ensuring that the correct letter formation is grasped right at the start. Oral blending, using our special friend Fred (the puppet), equips boys with the skills needed to later begin reading and spelling. Multisensory approaches to the teaching of letter formation and sound-symbol relationships are an integral part of our learning in Grade 0, and throughout the Foundation Phase. · THRASS - for the teaching of handwriting, reading and spelling skills, compliments and builds onto the READ WRITE INC. approach. It offers a method of improving vocabulary, teaching the variety of graphemes that make the same sound and provides boys with a tool to help them spell and decode difficult words. · RAVE-O (Reading, automaticity, vocabulary, engagement and orthography) is a cognitive reading programme combining knowledge of the underlying linguistic and processing systems involved in reading to address the key components in reading. · Guided reading allows for classes to be divided into small ability groups where the allocated member of staff focuses on the development of a variety of reading strategies, language and vocabulary skills, as well as higher-order thinking and comprehension skills. This protocol gives us the opportunity to give reading instruction to children at their correct instructional level. There is a strong focus on written expression and from Grade 0 the boys are encouraged to put their thoughts onto paper in a planned and organised manner. Tools such as thinking maps are used to facilitate this ideation and planning stage. 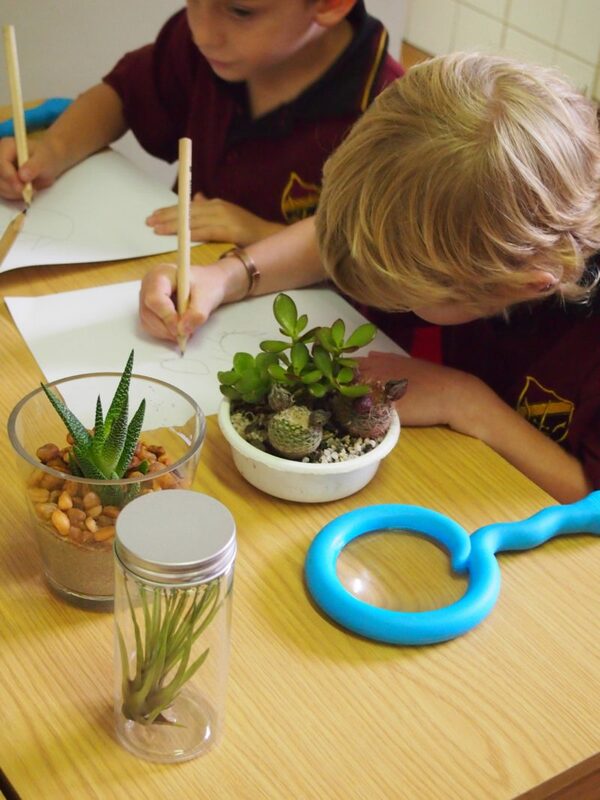 The sequential focus of the handwriting curriculum at Pridwin is in developing pre-writing skills and writing readiness in Grade 0, with the informal introduction of lower-case letters as they are written and linked to sounds. In Grade 1, formal handwriting begins, focusing on printed lower and upper-case letters using the correct letter formation. In Grade 2, once print has been consolidated, pre-cursive activities and, later in the year, formal cursive writing are taught. Learning to write in cursive is shown to improve brain development in the areas of thinking, language and working memory. It stimulates brain synapses and synchronicity between the left and right hemispheres, something absent from printing and typing. Reading and spelling are also seen to improve with the teaching of cursive writing as the hand acquires knowledge of spelling patterns through movements that are used repeatedly in spelling. Other research highlights the hand’s unique relationship with the brain when it comes to composing thoughts and ideas. The speed and efficiency of writing in cursive allows pupils to focus on the content of their compositions. In Grade 3, cursive is consolidated and once a certain level of proficiency has been reached, cursive is encouraged as the means of writing in all paper and pencil tasks. Afrikaans and Zulu are part of the literacy component. They are both taught at a first additional language level, until Grade 7 where the boys will be able to distinguish between their first and second additional languages. This means that the same number of periods are devoted to Zulu and Afrikaans. They are taught at a very basic level in Grade 0 and 1 and at a slightly more advanced level in Grade 2 and 3. Zulu and Afrikaans are done orally using simple vocabulary in the form of rhymes, songs, poems and stories. A written component is added as the boys become more proficient. Experimentation is encouraged through the life skills programme, leading to the development of creative thinking, planning and problem-solving skills, testing boundaries and encouraging risk taking. It aims to develop social skills, including leadership, negotiation, conflict management, flexibility and empathy. Opportunities for child-initiated and -led inquiries are created. Teachers design their termly programme around varied themes. Themes offer an interesting vehicle through which teachers can ensure that skills learned in literacy and numeracy are transferred and applied to different contexts. Children are encouraged to bring information and objects from home and opportunities for knowledge sharing and project work are created. Educational grade outings are arranged once a term. These are often linked to themes that take place in the classroom. Shows and programmes that are presented at school are also considered outings. The life skills programme also incorporates Philosophy for Children, Art, ITC, Music and Physical Education, which are usually taught by specialist teachers. Philosophy for Children is a protocol that is used to develop critical thinking skills through participation and practise in philosophical and other debate. P4C aims to give the children democratic power, by enabling them to pose and select questions for discussion and allows the freedom to follow the direction of the discussion they have chosen. An environment of mutual trust and respect for each other, where children can express their opinions without fear of recourse, and where they develop an interest in understanding their peers, as well as a genuine community, is encouraged. The purposes of art are manifold and offer the boys a wide variety of skills to practise. A number of different mediums and materials are introduced through which the boys are encouraged to express themselves. They engage with various tools in order to learn new techniques. By developing an awareness of the detail, concepts of perspective and position on the page are explored. There is a large emphasis on planning work before transferring it to larger pieces of paper. The boys are encouraged to take time to appraise their own efforts and modify designs accordingly. Language development, decision making, visual learning and inventiveness all form an integral part of each lesson. Originality and unique interpretations are supported, together with a love and appreciation of art. The boys’ artwork decorate the Junior Block in celebration of their talent and creativity. We have a specialised internally-developed Technology curriculum where we equip the boys with understanding of programmes and general PC use. A growing focus in this subject is also on the preparation for coding and robotics which are introduced in Grade 4. A large focus of the technology programme is on integrating IT skills into general learning. Thus, iPad banks are used in the classroom to support investigative or creative work. iMovie, Explain Everything Book Creator and Keynote are examples of apps that are used. The boys are taught “app smashing”, which is a progression of using several apps in conjunction with one another. These are then presented in a final project. 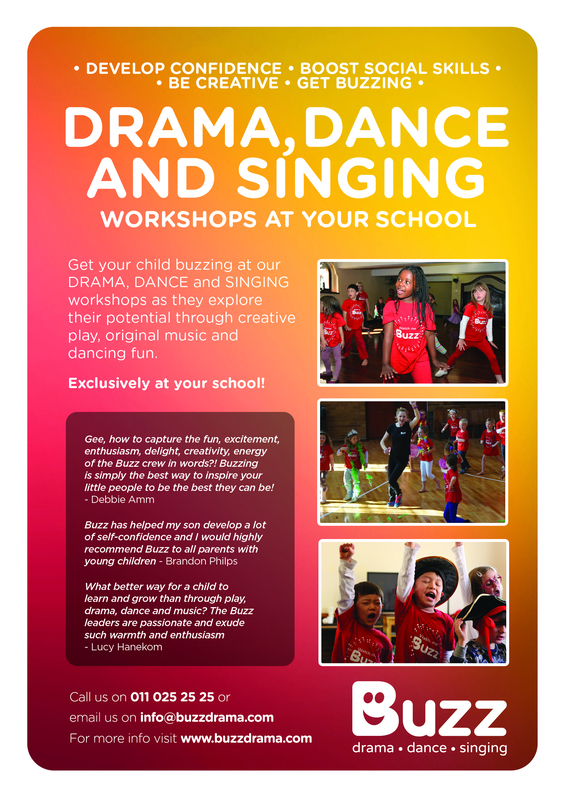 Class music forms part of the school curriculum in the Junior Prep. Boys in Grade 0 and 1 are taught using a traditional Western music approach. The teachers make use of principles from the Orff approach and supplement these with lessons using the Music Room series. Boys are exposed to a wide variety of instruments and styles and are encouraged to participate in listening and movement activities. In Grade 3, group recorder instruction is also given. From Grade 2 upwards, a second stream of music is included: African music. These classes include group instruction on marimbas and African drumming and boys are taught to sing and dance to music from across the African continent. In addition to class music, boys in the Junior Prep are given the opportunity to learn a variety of instruments on an individual basis. To learn more about individual music lessons, please visit the Music Department page. Exercise readies the brain for learning and provides the body with the strength and endurance necessary to sustain concentration and seated tasks, while at the same time developing skills and positive attitudes that enhance self-esteem. With this in mind, the Pridwin PE programme targets physical, social, emotional and intellectual development. The PE sessions also provide opportunities to develop desirable personal and social attributes, such as the ability to cooperate in group situations, the concept of fair play and acceptance of success and failure. Grade 0 pupils have two 30-minute periods of PE per week, while Grade 1 and 2 enjoy one period. In order to develop confidence and communication, boys are invited to say the prayer and each class is given an opportunity to participate in the assembly, in the form of a Class Assembly, once a year. The boys are recognised for their efforts in the classroom and beyond, and are awarded Certificates of Recognition and house badge stickers. Our Chapel service is held on Friday mornings in the auditorium. Here, the boys are recognised for their academic achievements, which include effort and progress, and sporting achievements for the week. Boys celebrating their birthdays in the forthcoming week are also acknowledged. Parents are welcome to attend and are notified via SMS if their sons are to be recognised in Chapel. Pridwin believes that homework, especially in the early grades, has a limited effect on improving academic performance, unless employed effectively. A rule of thumb for homework in the foundation phase is that tasks should foster positive attitudes, habits, and character traits; permit appropriate parent involvement, and reinforce learning of simple skills introduced in class. The amount of homework assigned should be appropriate to students’ age and should not take too much time away from other home activities. A guideline of about 15 to 20 minutes of homework is completed daily. The main focus of the homework programme from Grade 1 to 3 is on reading, due to its impact on achievement in all areas. A variety of books are sent home ranging from levelled reading books to library books. We expect parents or homework facilitators to spend quality time either reading to their children or listening to reading, emphasising the discussion around the book in the development of vocabulary and higher order thinking and comprehension skills. A few routine tasks such as spelling, bonds, or consolidation and extension activities related to individual learning goals may also be sent home when needed. At Pridwin we believe that in order to create an environment that fosters good behaviour, connections – such as the relationships between teacher and pupil and between pupils – need to be developed. We believe competence needs to be built through appropriately pitched and differentiated work and quality feedback, and that confidence must be developed to ensure that each pupil maintains a good self-image. We foster these through our academic, sporting and music programmes. Positive reinforcement of good behaviour is seen as more productive than punitive measures. Meritorious behaviour is also acknowledged through our class merit systems and the various opportunities for the boys to be awarded certificates in assemblies and chapels. It is also acknowledged that pupils in the Junior Prep vary in their needs and responses to situations and discipline measures. Therefore, within the guidelines stated above, adaptations to disciplinary procedures that best accommodate the situation and the pupil may need to be made from time to time. Pridwin takes a strong stand against bullying and follows an anti-bullying policy that incorporates dealing with both the bully and the victim, providing support and counselling for both. At times, complaints go home about bullying and it is important to be wise in distinguishing between normal “boy banter” and real bullying incidents. Real incidents of emotional, physical or verbal bullying need to be brought to the attention of the class teacher first and then to the Head of the Junior School. Each case is dealt with according to the policy with a full investigation of all parties involved, parents are notified and, if deemed necessary, further steps are taken. The Grade 3s are prepared for integration into the Senior Discipline Policy in Term 3 where Alphas and Omegas are awarded for meritorious or poor behaviour respectively. Boys earning a certain number of alphas are invited to either an alpha tea or alpha outing depending on the band within which they fall. Children experiencing difficulties in emotional, social or academic areas are supported by the highly skilled and often remedially trained Pridwin teachers. The team of therapists who operate on the Pridwin campus work with the teachers in a supportive capacity, enhancing the ability of our teachers to understand and address individual needs within the classroom. Should a difficulty in any foundational area become evident, the school may ask for an assessment to be conducted by a relevant practitioner. The team of therapists consist of a speech and language therapist, occupational therapist, remedial therapist, physiotherapist, as well as an educational psychologist. Should the need arise, they are available to do the necessary assessments and intervention. However, it is not regulation that Pridwin pupils make use of this offering if an outside therapist is preferred. Therapy fees are charged privately. Remedial Therapy – Monday to Friday Pupils are referred for remedial therapy when they fail to meet the academic expectation in the classroom, following specific interventions by the class teacher. Typically, weaknesses in areas relating to speech and language, and occupational therapies, would already have been addressed prior to this referral. Speech Therapy – Monday to Friday Pupils are referred for speech and language therapy when difficulties in language, vocabulary, auditory processing and memory skills are identified. Educational Psychologist (play therapy) – Tuesday & Thursday Pupils are referred for play therapy when emotional factors that appear to impact on their ability to thrive in the classroom environment or in a social situation have been identified. Occupational Therapist – Monday to Friday Pupils are referred for occupational therapy when difficulties in sensory, motor planning and integration are identified. Physiotherapist – Tuesday & Thursday Pupils are referred to physiotherapy when difficulties with their postural control are identified. The child may be compensating as a result of muscle weakness, instability around the shoulder girdle or pelvic girdle. Boys who wish to learn an instrument can sign up with the Music Department. Applications can be completed online (www.pridwin.co.za) or email Karien Labuschagne: (karienl@pridwin.co.za). Where possible, lessons are accommodated during the school day on a rotational basis, so as to ensure that the same lesson is not missed each week. Due to the programme in Grade 1, boys wishing to play an instrument in this grade will be given a time before or after school, as is the case with boys who may be attending two different therapies during the course of the week. The music department organises lunch-hour concerts according to grades. These take place once a term, where each music pupil has the opportunity to play a piece of music. Parents are invited to attend. The mission of the Pridwin sports programme is to allow maximum participation in all sports and to create opportunities for boys to develop all-round skills. The Physical Education curriculum focuses on underlying skills necessary for success in the classroom and on the sports field. Pridwin’s compulsory sports programme offers seasonal sports coaching to the Junior boys. Grade 1s and 2s receive an hour’s sport session twice a week between 13h00 and 14h00. The Grade 3 boys follow the Senior School sporting programme, where participation is compulsory in all seven sporting codes in Grade 3. Fixtures take place most Wednesdays and Saturdays. Those who elect to compete in swimming or cross country have seasonal fixtures on Fridays, too. Your son may elect not to play contact rugby fixtures. 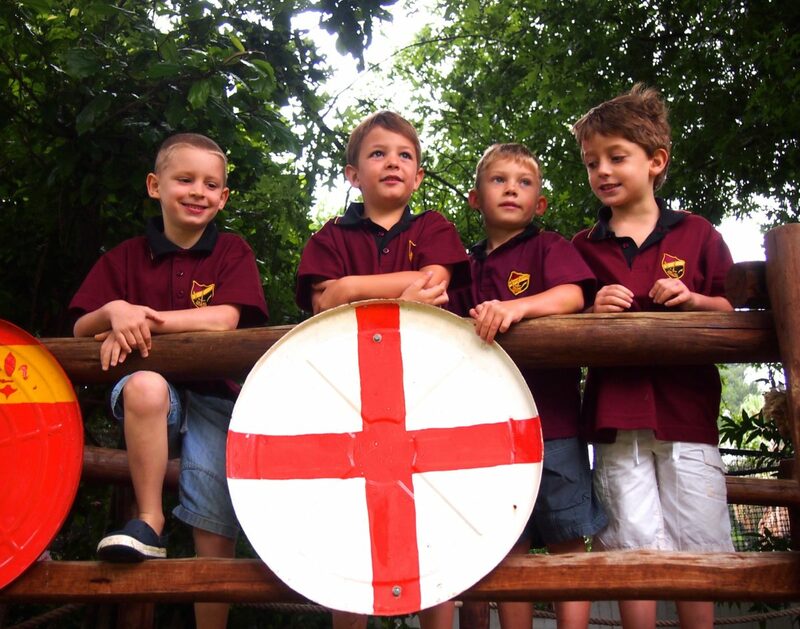 The four school houses are Bedevere, Galahad, Lancelot and Tristram. On entry into Pridwin, each pupil, taking into account possible family allegiance, is allocated a house. Throughout the year, various interhouse sporting and cultural events take place, such as the Junior Sports Day and Gala. House points are also awarded for Values certificates and Class Honour certificates. A running total of house points is tallied and announced weekly in Chapel, creating a healthy sense of competition and camaraderie. Hot lunch is available daily except for Wednesdays. The catering manager and her team work hard to provide healthy food of a high quality. All food served is halal, and vegetarian and gluten-free options are available. This facility is available to all the boys. It is compulsory for the Grade 3s to have hot lunch and optional for Grade 0 to 2 boys. The Junior boys place their hot lunch orders at the beginning of each day for catering purposes. The boys are taken to the dining room and supervised during lunchtime. On a Wednesday, the Grade 0 parents sell hot dogs, boerewors rolls, prego rolls and cool drinks as part of the school’s fundraising programme. This happens in the junior playground outside the school hall. Each Grade 0 family is asked to volunteer to assist with the sales once a term. Our aftercare facility is open from 13h30 to 16h30 each day. Homework is supervised, after which the boys are free to engage in structured and free play activities, also supervised by our dedicated aftercare staff. A drink and snack are provided to the boys in aftercare at 15h00. A number of private extramural activities take place on the Pridwin campus and are available to the Grade 0 to 2 pupils. These activities are made available at parents’ request over the years, but Pridwin recommends that the boys are not involved in too many. It is far more valuable for them to be involved in free play at this juncture in their development. Pamphlets are also distributed to the Grade 0 to 2 boys at the beginning of each term. Parents must contact the external service providers directly to secure a spot and are requested to notify the class teachers of their sons’ participation in the various activities. Demos are also arranged during the first few weeks to enable boys to make a more informed choice on which extramurals they would like to participate in. Private extramurals begin in the second week of the first term. In subsequent terms, they begin on the first day of school. When school closes early, e.g. midterm break or term end, no extramurals will take place. Boys are collected by the various coaches from the junior playground. Afterwards, they should be collected directly from the activity, unless they are required to attend aftercare. All boys that are not collected directly will be sent to aftercare.